The Samsung Galaxy S5 has taken the world by storm, selling over 11 million units during the first month of its release. And with exciting new variants like the Prime, Mini and Active expected to be released, it will likely retain its title as the “King” of smartphones. ; however, the Samsung Note 3 remains a top contender that’s still worth checking out if you’re in the market for a new smartphone. Here we’re going to do a side-by-side comparison of the Galaxy S5 and Note 3, revealing which one comes out on top. The first major difference you’ll likely notice between the Samsung Galaxy S5 and Note 3 is the body design. 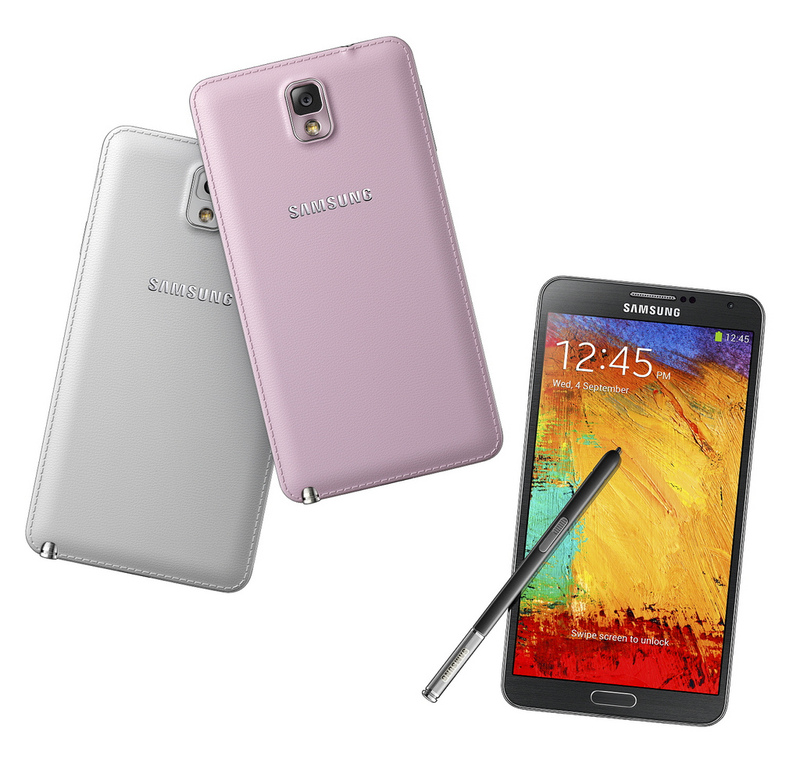 At 5.95 x 3.12 x 0.33 inches, the Note 3 is more of a tablet/smartphone hybrid, or a phablet. The Galaxy S5 is smaller and more compact at 5.3 x 2.9 x 0.25 inches. In keeping up with Samsung’s tradition of delivering only the highest quality picture displays to their devices, both the Galaxy S5 and Note 3 feature full 1080p HD technology. With that said, the Galaxy S5 looks sharper thanks to its 373 nits brightness rating. The Samsung Galaxy S5 is powered by an impressive quad-core 2.5-GHz Snapdragon 801 processor, whereas the Note 3 is powered by a slightly slower 2.3-GHz Snapdragon 801 processor. How much of a difference does this make? Several benchmarks suggest the Galaxy S5 processor is roughly 10% faster than the Note 3’s processor. Another major difference between the two devices is their camera. The Samsung Galaxy S5 is well-known for its incredible 16-megapixel front-facing camera, which takes amazing, professional-quality photos. While the Note 3’s 13-megapixel front-facing camera is respectable, it’s still fails in comparison to the Galaxy S5’s. If you’re fond of taking “selfies” wherever you go, you’ll want to stick with the Samsung’s flagship smartphone, the Galaxy S5, for this reason. The one area where the Note 3 shines is its integration of a stylus. There’s just something fun and unique to using a stylus on your smartphone (or phablet). This is something that Samsung’s Note 3 has successfully pioneered, offering users a fun alternative to finger tapping their screens. Unfortunately, there’s no stylus option for the Galaxy S5. Of course, the Galaxy S5 features an advanced fingerprint scanner, which is something that the Note 3 does not offer. The fingerprint scanner is useful for locking/unlocking your device, as well as measuring your heart rate. Which device do you think is the best? We’d love to hear your opinion in the comments section below!